He was the ultimate showman, turning the staid gentleman’s game into a glitzy display of glamour and gumption, with some cricket thrown in. Sriram Veera captures the rise and fall of Lalit Modi. 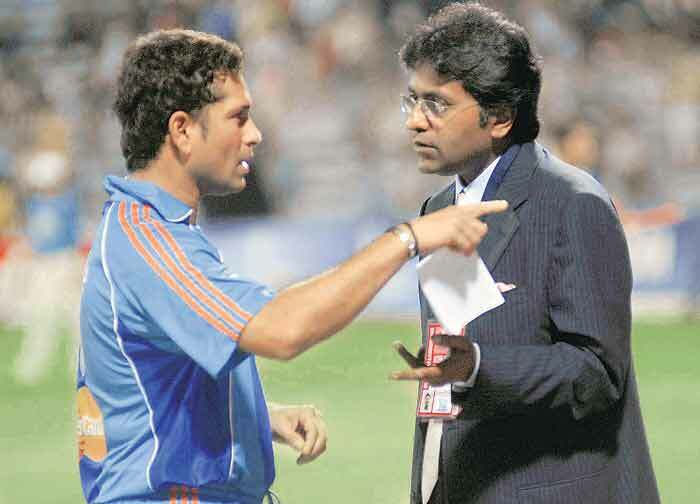 For Lalit Modi, few may have bought an IPL franchise at the time; his network of friends was large and powerful; both players, BCCI were taken in by his razzmatazz. Nusli Wadia’s phone rang. It was the last week of October 2005 and Wadia, who owns Bombay Dyeing and Britannia Industries, was eagerly awaiting the launch of his 31-year-old son Jeh’s new airlines GoAir. 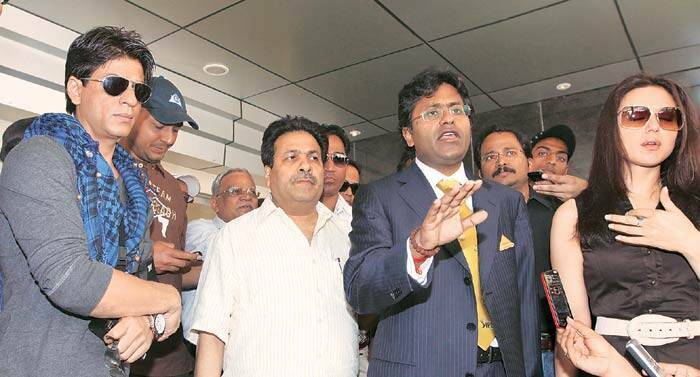 It was Lalit Modi on the line, enquiring about the date of the first commercial flight. The airline would take off on November 1, Wadia told Modi. It was an equally important week for Modi. Then president of the Rajasthan Cricket Association, he was to host his first international cricket match at the Sawai Mansingh Stadium in Jaipur on October 31, one day before the no-frills airlines was to take off. He asked Wadia to charter a flight for about a hundred people — including socialites and movie stars such as Suniel Shetty, Arjun Rampal, Neha Dhupia and Diana Hayden — to Jaipur. It was a win-win situation for the two men. For Wadia, it meant publicity for his venture and for Modi, an opportunity to play the game the way he had always wanted to — cricket as carnival. 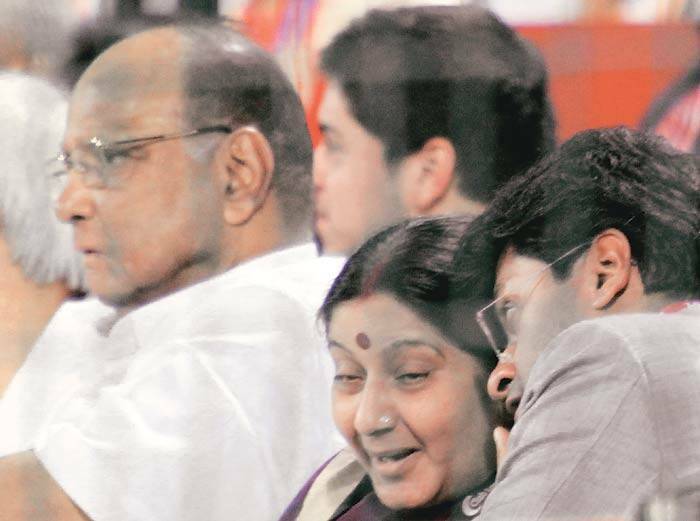 Sushma Swaraj's defence: Would you have left (Lalit Modi’s wife) to die? The day of the Jaipur match, a game between India and Sri Lanka, a hangar came up next to the stadium. Not far from it popped up a grand Rajasthani-style shamiana — air-conditioned and stocked with beer and catered five-star food and service. Ticket-buyers were lured with a tantalising offer: if you bought four tickets, not only would you get to park your car 100 metres from this celebrity tent, you could take photos and mingle with the stars. Tickets that normally sold for Rs 1,700 went for Rs 10,000 as celebrity hunters and Jaipur’s movers and shakers headed for the shamiana that day. No other cricket match in India had ever been sold this way. The advertising revenue alone was a staggering Rs 24 crore as Modi utilised every inch of free space in the arena to rake in money. The advertising runners on the boundary ropes were sold for Rs 15 lakh. More importantly, and as a prelude to what was to come, Modi used his networking skills to ensure 60 corporate boxes were picked up for Rs 1.25 lakh per seat. Eyebrows shot up at the headquarters of the Board for Control of Cricket in India (BCCI). Nearly 10 years after Jagmohan Dalmiya turned down his proposal for a city-based league, Modi had finally arrived. This was a man who had to wait a decade to secure a foothold in cricket and he wasn’t going to let go of this opportunity. That was the start of the Modi era in Indian cricket. Nearly everything that has now come to be associated with Modi — opulence, chutzpah and gumption — was on display in that Jaipur match. Including his impatience. Modi is said to have lost his temper. Nobody remembers if Modi got the grass to grow at his pace, but the stadium hosted its first international match. Tales such as these added to the Modi myth. Modi’s ambition also set off a clash of ideologies within the BCCI. Within a few years, unable to fathom his working style, the old guard in the BCCI began to feel uneasy. However, dazzled by all this razzmatazz, they still let Modi show them the way. In 2005, the BCCI signed up Nike as the official apparel sponsor for the Indian team, a five-year deal worth $45 million, and clinched a fresh sponsorship with Sahara, valued at Rs 313 crore. In 2008, for the first time, the board engaged a PR firm, Adfactors. The Board had found its Pied Piper. In 2006, for the final ODI in the India-Pakistan series, Modi flew all the BCCI members on a chartered flight to Karachi. He also tapped markets such as Abu Dhabi, Ireland and Scotland for off-shore ODIs involving India. The man now began to aim for bigger stars and politicians. With NCP chief Sharad Pawar by his side, he shoved Dalmiya off the power centre at the BCCI and in photographs with superstar Shah Rukh Khan, he preened. Dilip Cherian, the image-guru who has worked with Modi, says it were his networking skills and ability to brand himself —and the sport — that made him what he was. “He sweetly bullied his powerful network of friends into buying things. His network in politics, business and among film stars and socialites is quite large. No one would have even bothered to buy an IPL franchise those days if it weren’t for him,” says Cherian. It was a brand that got brasher by the day. When the International Cricket Council (ICC) wanted to host the Champions Trophy in just three cities in India in 2006, Modi was adamant that Jaipur should be the fourth venue. Finally, Jaipur hosted five matches, including a semi-final. An unverifiable story from that time said that a couple of ICC officials who had protested against Jaipur as a centre were locked out of the Sawai Mansingh Stadium during a game. Those who know him say he isn’t known to forgive. Modi soon became the official powerbroker of the BCCI. In 2007, two weeks before the West Indies hosted the World Cup, they, along with Sri Lanka, were arm-twisted into playing an ODI series in India because Modi realised both countries had failed to fulfil their reciprocal count in terms of tours. On September 13 that year, Modi, then the IPL convenor, officially launched the League along with the Champions League T20. A day later, at Johannesburg, India defeated Pakistan in a bowl-out in a league game of the T20 World Cup. In the final, when India beat Pakistan again for its first T20 World Cup, it also acted as a great promotion for the new format. A delirious Modi ran onto the field, disregarding ICC officials who tried to stop him because he didn’t have the accreditation to enter the arena. That T20 World Cup in South Africa also brought Modi closer to Shah Rukh Khan. The tournament was used as a platform to promote the Khan-starrer Chak de India!. The movie title became the official promotional cry to rally Indian fans. The PR machine ran relentlessly. In the 2008 IPL, he milked the Harbhajan-Sreesanth slapgate for more TRPs. He kept the issue alive, converting it into a TV spectacle as he organised a patch-up act between the two. The fans lapped up all the masala. In 2010, he included two clauses, without approval of the board, in the tender draft to favour the Adani and Videocon groups. Sahara and Dainik Jagaran, the groups that lost out in the bids, raised a furore, leading to then BCCI president Shashank Manohar pulling up Modi and scrapping the deal. Besides, he was under pressure for trying to arm-twist the Kochi franchise to pull out of the IPL. The 2010 IPL proved to be his last season. During the semi-final in Mumbai, the cookie crumbled. Naomi Datta, a broadcast journalist who worked with Modi that IPL season, would later write a revealing blog post about that day. She wrote how a crestfallen Modi had held a 15-minute meeting with Vijay Mallya, owner of the Bangalore franchise and one of the few who stood by him those days. As he emerged from that meeting, he made a polite request: he wanted Datta to send out a visual of him looking relaxed in this crisis. That was his ultimate image spin. Datta said her sound recordist, who just a few weeks ago had been at the receiving end of the Modi temper, alerted the main camera crew and was surprised when Modi thanked him for that gesture. As Modi left, the recordist told Dutta, “Iski hawa to bilkul nikal gayi”. 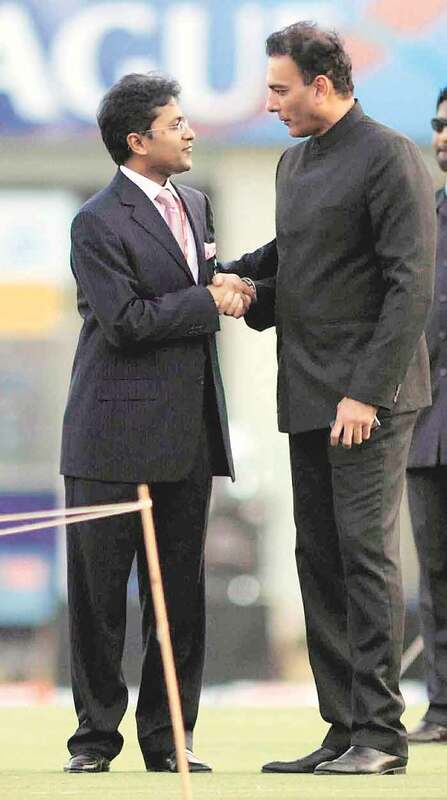 November 2005: Becomes one of the youngest BCCI vice-presidents. September 2007: Announces launch of IPL, is its convenor. March 2009: Loses RCA election after Congress comes to power in state. Takes IPL 2 to South Africa. April 2010: Modi tweets the ownership structure of the new Kochi franchise. It emerges that Congress leader Shashi Tharoor’s wife Sunanda Pushkar holds a 25% sweat equity in the franchise. October 2010: ED asks MEA to revoke his passport and issue a ‘look-out notice’ against him. March 2011: Passport is revoked. September 2013: BCCI panel led by Arun Jaitley holds Modi guilty of charges of bid-rigging. Inputs by Shivani Naik, Bharat Sundaresan & Nihal Koshie. Between 2013 and 2015, the Enforcement Directorate, which began investigating Lalit Modi in 2010, filed 15 show cause notices against Lalit Modi and the BCCI. The 16th ED case against him hasn’t earned him a show-cause notice yet. On the basis of an FIR filed against Modi in Chennai by former BCCI chief N Srinivasan, the ED had registered a case of money laundering against Modi. However, there has been no progress in the case. The ED served 12 show-cause notices on Modi for alleged forex violation to the tune of Rs 1,350 crore during IPL-2 in 2009. ED alleges that despite specific directions from the BCCI working committee to take prior RBI approval, Modi transferred funds to the South African Cricket Association and towards other expenses. Secondly, the BCCI’s share of ticket sales and stadium rights were not remitted back to India within the mandatory one-year period. Rs 325 crore. In its show-cause notice, the ED alleges that in the absence of any formal contract, the BCCI’s pact constituted a forex violation. The ED served a notice to the BCCI and Modi for standing guarantee for foreign players in case of default of their payments by franchises. This too did not have RBI approval, hence a FEMA violation. A payment of Rs 88.5 crore made for consultants abroad did not have RBI approval. Modi and the BCCI were charged for alleged FEMA violation.